"... here was probably a tip-top chance to get control of the 'Mississippi' book for the Uniform Edition by some clever trade with Gill." In 1875 Clemens published a series of seven articles titled "Old Times on the Mississippi" in the Atlantic Monthly. The series ran from January through June, skipped July, and concluded in the August 1875 issue. The articles totaled over 35,000 words. James R. Osgood was an owner of Atlantic Monthly when the magazine published "Old Times on the Mississippi." In 1878 Osgood merged with Henry O. Houghton to form Houghton, Osgood and Company. By 1880 Osgood launched his own publishing company and in 1881 he published Mark Twain's The Prince and the Pauper. 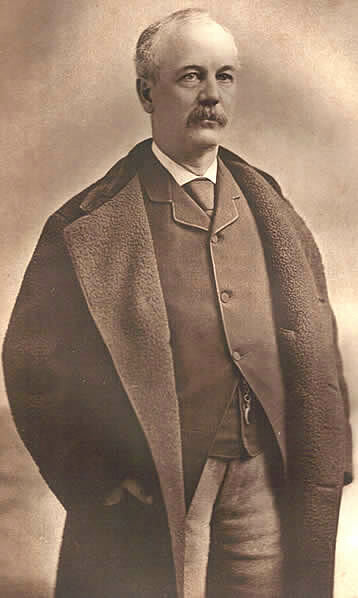 In April 1882 Clemens signed a contract with Osgood to publish a book that would incorporate and expand upon the Mississippi River articles that had appeared in the Atlantic Monthly. The volume would be titled Life on the Mississippi. The first edition of Life on the Mississippi contains over 147,500 words in 60 chapters and 4 appendixes. Osgood's book design director was Andrew Varick Stout Anthony (b. 1835 - d. 1906). From 1860 to 1866 Anthony supervised the engraving department for the New York Illustrated News -- a newspaper edited by Thomas Bailey Aldrich. 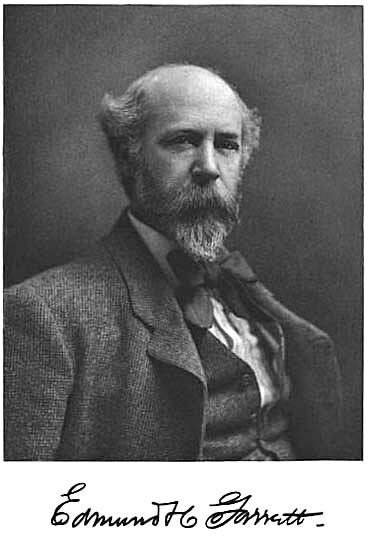 From New York, he moved to Boston and from 1866 to 1889 supervised the illustration projects for Ticknor and Fields; Fields, Osgood and Company; and finally James R. Osgood Company. Anthony and Osgood, whose publishing house was located in Boston, hired Boston area artists Edmund Henry Garrett (b. 1853 - d. 1929), John J. Harley (b. 1840 - d. after 1910), and Augustus B. Shute (b. 1852 - d. 1906) to illustrate Life on the Mississippi which contained about 310 illustrations. The book was issued in England by Clemens's British publisher Chatto and Windus on May 15 and on May 17, 1883 Osgood released it as a subscription volume. When James R. Osgood and Company declared bankruptcy on May 2, 1885, Clemens acquired the unsold stock of Life on the Mississippi. This inventory, in turn, was sold to Watson Gill (b. 1837 - d. 1903) of Syracuse, New York who obtained an exclusive contract to sell the book. Gill had been affiliated with American Publishing Company and had proven to be a valued associate for Clemens's own Webster and Company. After declaring bankruptcy, Osgood went to work for Harper and Brothers as their London agent. After 1894 Andrew Varick Stout Anthony was also employed by Harper and Brothers. In December 1894 Clemens wrote to Henry Rogers emphasizing the importance of recapturing the rights to Life on the Mississippi from Gill so it could be included in the uniform edition of his works and suggested a payoff of $700 if necessary. Gill, however, was wanting the rights to publish an entire uniform edition of Mark Twain's works himself. The negotiations Rogers conducted with Watson Gill remain unclear. However, in a contract dated May 23, 1895, Olivia Clemens assigned rights to Life on the Mississippi to Harper and Brothers. By 1896 Harper had produced new printing plates, eliminating most of the original illustrations, and was publishing the book in their own uniform edition series of red cloth and gold cornstalk bindings. Evidence suggests that Gill may have threatened a lawsuit to retain his rights in Life on the Mississippi. However, Rogers assured Harper that he would protect their company from any legal obstacles that Gill might throw in their way. Gill's claims to exclusive rights over the work were effectively nullified with Henry Rogers's assistance and Life on the Mississippi became the property of Harper and Brothers. The company, through their contractual agreement with American Publishing Company, allowed Frank Bliss to include Life on the Mississippi as Volume 9 in the 1899 uniform edition. By the agreement between Harper and American Publishing Company dated November 11, 1898, Frank Bliss was allowed to manufacture new printing plates that would immediately become the property of Harper and Brothers. By producing a new set of plates in Hartford, Bliss could save transportation costs and insurance involved in shipping the plates from New York. Title page features American Publishing Company logo. 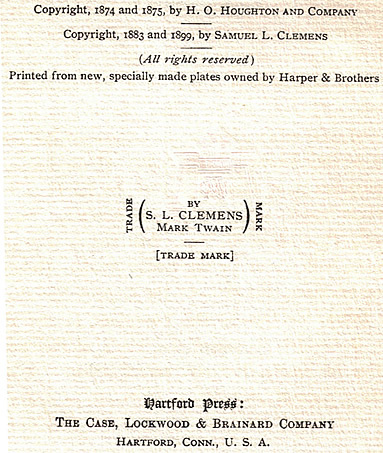 Copyright page printed on the back of the title page features the Mark Twain trade mark and a statement that the printing plates were owned by Harper and Brothers. You will find that I am using my own nom-de-plume as a trade-mark this time, either on the title page or somewhere. You will repeat this dodge in your edition. If anybody infringes, I mean to bring another trade-mark suit. I have taken legal advise on the subject. It is believed that this device will win. Therefore I thought it worth trying (Clemens to Andrew Chatto, March 1, 1883). 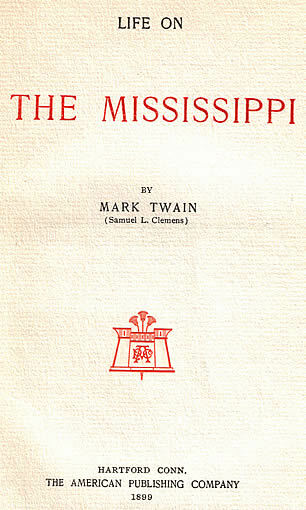 Life on the Mississippi is the only book to ever feature the Mark Twain trade mark and it was retained in the new printing for the 1899 uniform edition. The new round of typesetting had the potential to introduce new errors into the text. One such example is the heading for Chapter 36 (Life on the Mississippi, Volume 9, p. 285). The correct chapter heading from the first edition is "The Professor's Yarn." In the 1899 editions, the chapter heading reads "The Professor's Gain." The error was corrected for the Riverdale and Underwood Editions which Bliss published in 1901. No examination of Morgan's notes for Life on the Mississippi has been conducted. 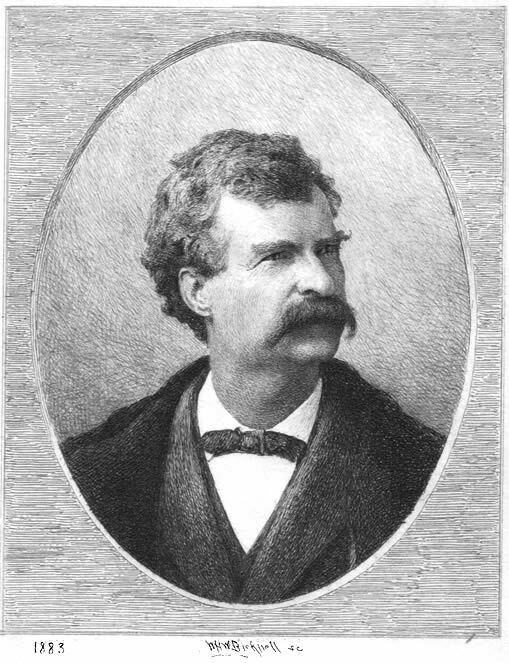 Frontispiece of Volume 9 etched by William Harry Warren Bicknell based on a photograph of Mark Twain in 1883. Bicknell's frontispiece for Life on the Mississippi is identified as being from a photograph taken in 1883. However, the engraving closely resembles the known photographs of Clemens made by Napoleon Sarony prior to the fall of 1884 when Clemens and George Washington Cable visited Sarony's studio in New York. Edmund Henry Garrett (b. 1853 - d. 1929) was born in Albany, New York. Both of his parents were born in France. When he was a youngster the family moved to Boston where he attended the public school. According to the 1870 census, his father Anthony worked in a Boston iron foundry. Garrett's artistic career began in woodcarving and he later developed his talent for painting. He began illustration work for newspapers and magazines at age twenty. Garrett later traveled to Paris where he studied under Jean Paul Laurens, Jules Lefebyre, and at the Academy Julian. After traveling extensively abroad, Garrett settled in Winchester, Massachusetts. 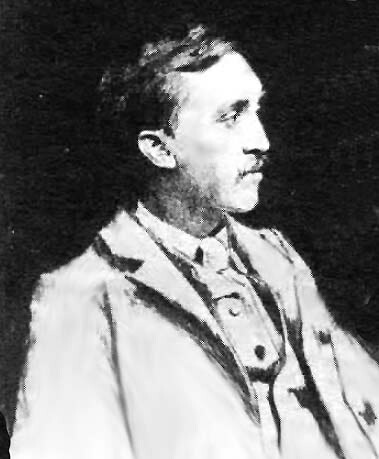 Garrett also wrote and collaborated on several books including Elizabethan Songs (1891), Three Heroines of New England Romance (1894), The Romance and Reality of the Puritan Coast (1897), and The Pilgrim Shore (1900). Garrett helped illustrate the 1883 first edition of Life on the Mississippi. Frank Bliss arranged with Garrett to contribute five new illustrations to the 1899 uniform edition of the book. Garrett used the opportunity to improve upon the original unsigned work, selecting scenes from the text that had been previously illustrated. One receipt for his work dated July 1, 1899 indicates Garrett was receiving $50 per drawing for the new work. One illustration Garrett drew is a scene from the text titled "You Take Her and Lie Awhile" from Chapter 24. The same scene had been previously illustrated by artist John J. Harley. Evidently, Garrett felt that Harley's illustration did not properly depict the humor in the text. John J. Harley's illustration from the 1883 first edition (Chapter 24) features a conversation between Mark Twain and a tired and disgusted-looking steamboat pilot. 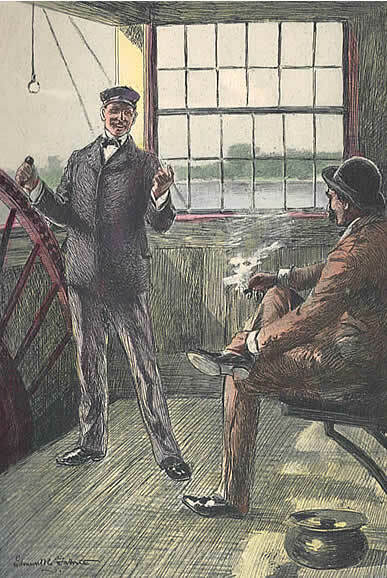 Edmund H. Garrett's "You Take Her and Lie Awhile" from the 1899 uniform edition features the same steamboat pilot (Chapter 24) who is smiling and enjoying the joke. The illustration was hand-colored and used as a frontispiece for the 1901 Riverdale Edition. "Arthur Lumley's Remembrances of the Late A. V. S. Anthony," The New York Times, 28 July 1906, p. BR 478. Clemens, Samuel L. to Andrew Chatto, 1 March 1883. Original letter in the Kevin Mac Donnell collection. "E. H. Garrett, Artist, Dies In Needham," The New York Times, 3 April 1929, p. 25. Garrett, Edmund Henry and William Howe Downes. Bookplates Selected from the Works of Edmund H. Garrett and a Notice of Them. (The Troutsdale Press, 1904). Online via google books. Garrett, Edmund H. Receipt to American Publishing Company for two drawings. 1 July 1899. Accession No. 6314, Box 8. (University of Virginia Library, Special Collections). Hill, Hamlin, ed. Mark Twain's Letters to His Publishers, 1867-1894. (University of California Press, 1967). "Obituary Notes: Andrew Varick Stout Anthony," Publishers' Weekly, 7 July 1906, p. 19. Online via google books. Palmquist, Peter E. and Thomas R. Kailbourn. Pioneer Photographers of the Far West: A Biographical Dictionary, 1840 - 1865. (Stanford University Press, 2000). Twain, Mark. Life on the Mississippi. Edition De Luxe. (American Publishing Company, 1899).